You may or may not be love struck but the world around surely is..
It’s February and love is being celebrated almost everywhere be it a cake shop or an electronic store. While prepping your offline store might seem to be a piece of cake, doing the same for your online store is a real hustle. 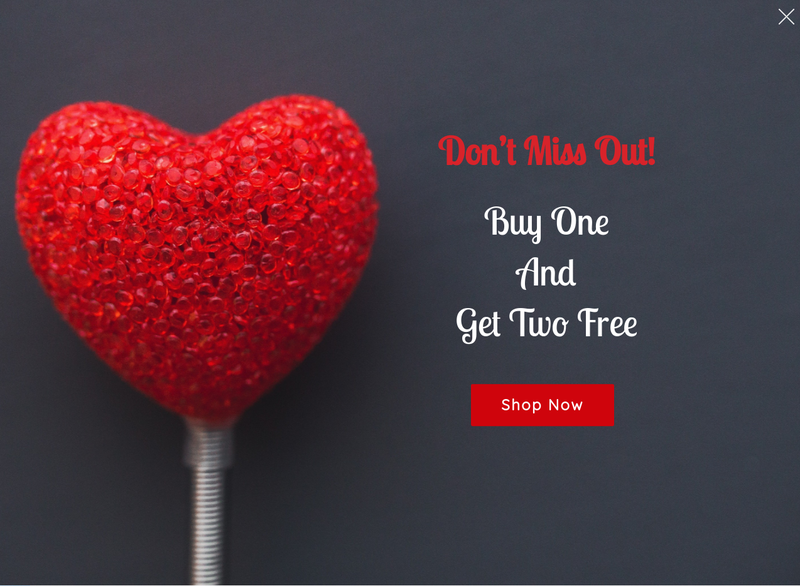 So to make celebrating Valentines on your online store easy, here are 6 ideas which you can instantly implement within a few minutes, not hours! Crave a special place in the hearts of your subscribers. 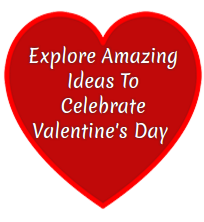 Run a contest and give the winners and their special someones a memorable gift. I bet they will remember your product/ service for a lifetime! This is the most common idea, but also the most successful. Something about festivals makes people spend 37% more than what they would otherwise do. So take full advantage of this customer psychology and set up an irresistible sale on all your products. Love is all about giving. So think about something that you can give your customers – it could be a free product, a free pdf or simply a free graphic. Whatever it is, I’m sure your customers will love to get the freebie. Don’t want to lower prices of all your products, but still want to make a sale? Then discount coupon is the most smart technique to grow sales instantly. Content never gets old. And writing something of value is always appreciated. 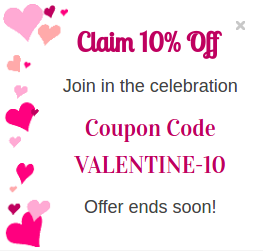 So if you are blogger, even if you are not – you could write something of value based on Valentines and then promote it on your website using a badge like the one shown below. Liked The Ideas? Here’s What To Do Next! Did you like the ideas mentioned above and want to implement the same designs on your store? then go to your Icegram plugin inside your WordPress dashboard and click the Icegram Gallery options. You will all these designs ready to use right there. Don’t have Icegram but still want those designs? BTW, you don’t have to use Icegram to implement these ideas. You can create these or similar looking items on your website with any website marketing plugin of your choice as well. Incase, you need any help feel free to write in a comment.